Italian researchers have provided another excuse for wine lovers to extol the virtues of their indulgence. 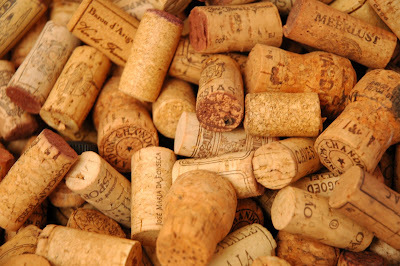 A team at the University of Pavia have shown that both red and white wine can kill the bacteria that cause tooth decay. Gabriella Gazzani and her colleagues selected home-grown Valpolicella and Pinot Nero (Pinot Noir) wines for their study, and tested their antibacterial brawn in a broth of oral streptococci. The wines were ‘dealcoholised’ prior to the test in order to exclude ethanol’s inhibitory effects on bacterial growth. Wine contains organic acids with known antibacterial effects, including succinic, malic, lactic, tartaric, citric and acetic acids. But Gazzani told Chemistry World that hers was the first study to demonstrate wine’s ability to destroy the microbes that have ruined many a smile. As well as inhibiting growth of the tooth-decay bacteria Streptococcus mutans, the researchers found that the wines inhibited growth of S. pyogenes, the bacteria that infect the upper respiratory tract and cause a condition called ‘strep throat’, which leaves sufferers with a sore throat and possible fever. ‘Our findings suggest that wine might help prevent caries [tooth decay] and upper respiratory tract infection,’ concluded Gazzani. < You and your little dog Toto too. This post is SO up my ally it is scary! Data, wine and positive benefits! Yay! And yes, I will have another glass!